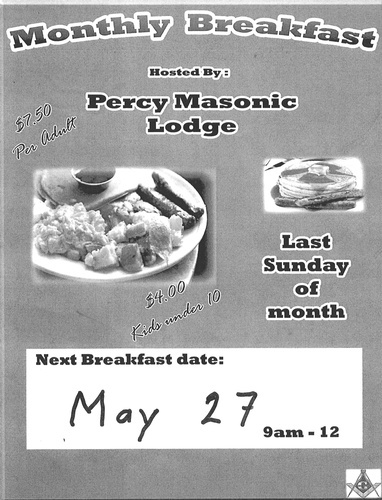 Monthly breakfast hosted by Percy Masonic Lodge. Last Sunday of the Month. $7.50 per adult and $4 for kids under 10. $7.50 per adult and $4 for kids under 10.